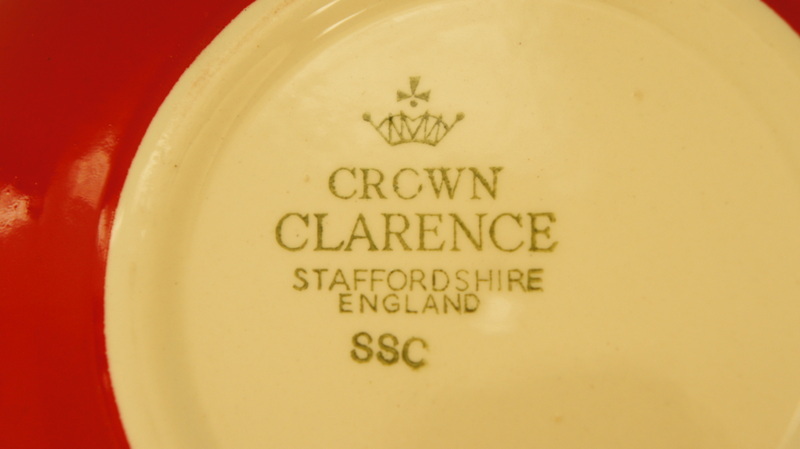 There’s a bit of wear to the handle on this retro Crown Clarence casserole dish, but really how could I resist such a handsome dish, even if it’s not in 100% mint condition? 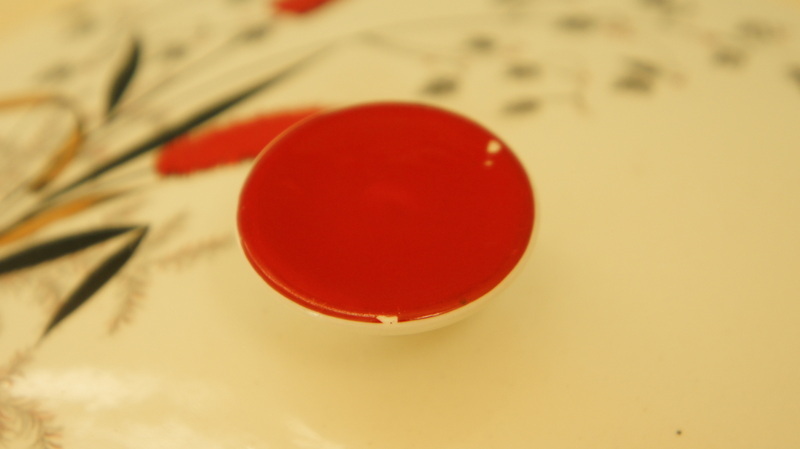 I mean how often do you see anything glazed in this gorgeous red colour (I think its rarity might have something to do with red being a very expensive colour?). 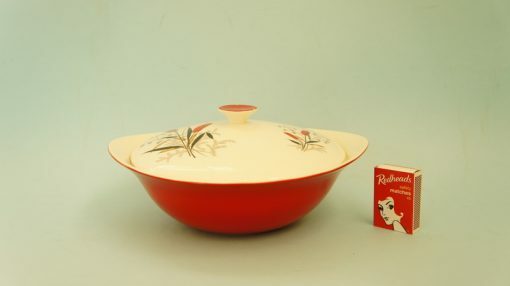 I also love that great retro shape and the 1960s, Red Rush, pattern. 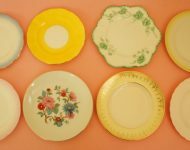 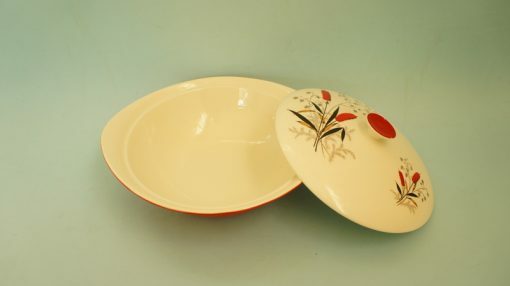 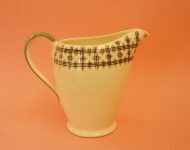 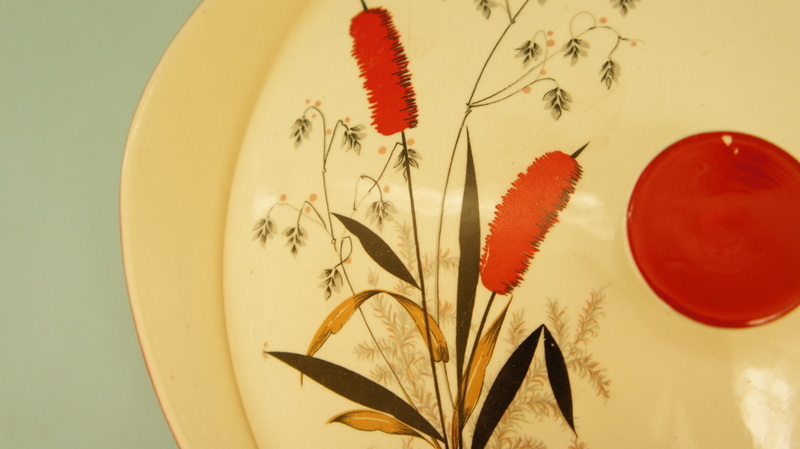 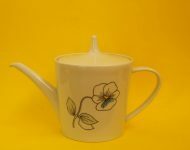 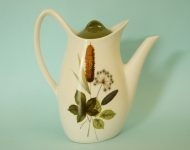 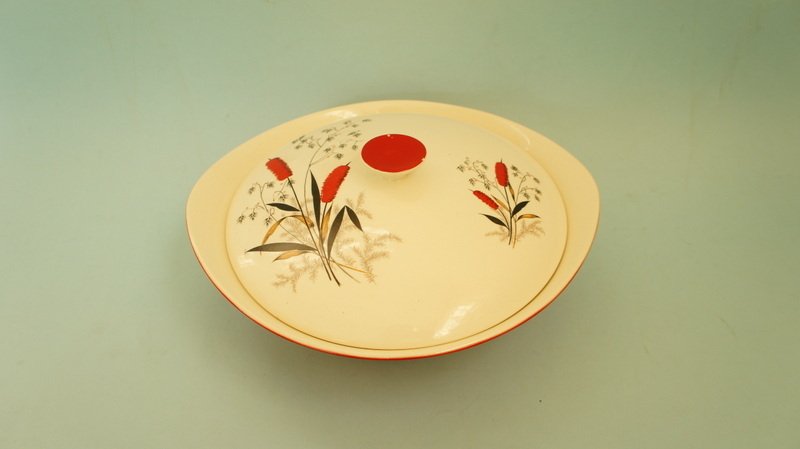 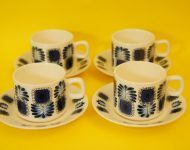 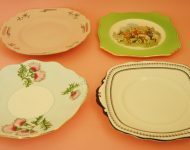 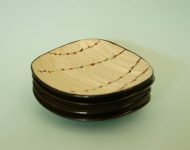 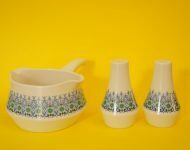 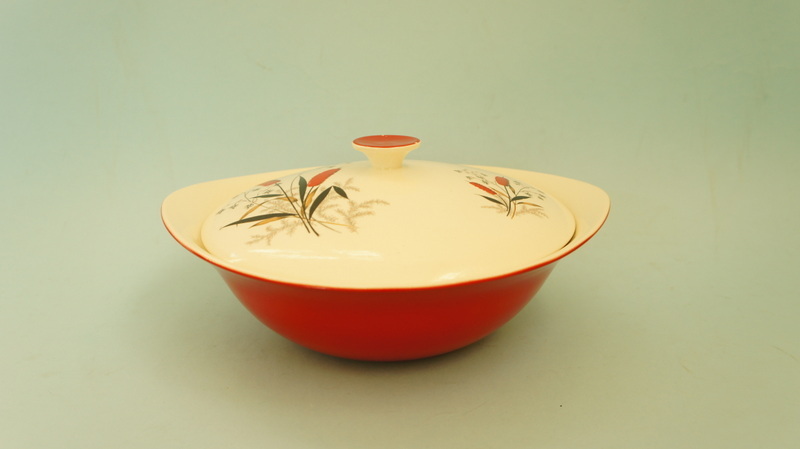 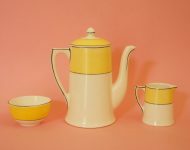 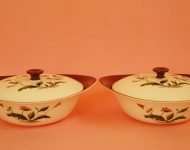 A super attractive piece of retro pottery that will look absolutely fantastic sitting on your dining room table. 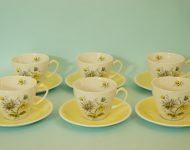 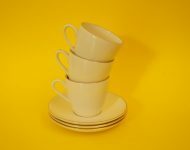 You Don’t perhaps have the 6 cups, saucers and 6 cake plates in this Crown Clarence for me?